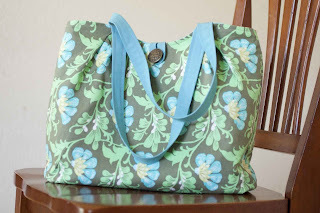 With Quilt Market only two weeks away, I started thinking I wanted to take a great new bag with me. Aside from a market tote or two... I haven't really made a bag before. 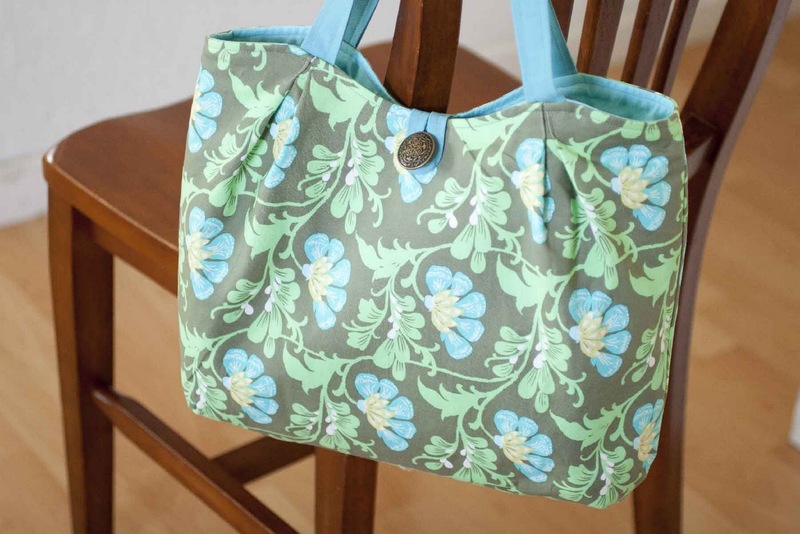 I would love to know what bag patterns you like. Look it stands up on it's own even though I used regular woven cotton. That's because I used interfacing. 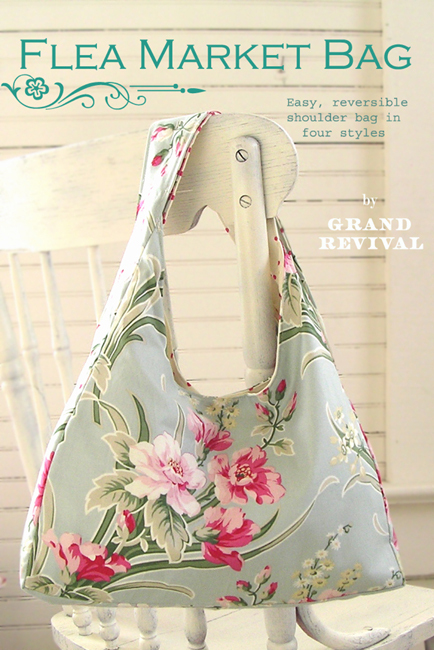 I picked SF101 Shape Flex interfacing by Pellon because it's what Amy Butler uses for the Birdie Sling. That Amy sure knows her bag making. This interfacing is really nice. See this button? I got it from my button jar and I *know* this button. This button came from a sweater in 7th grade. All the girls at my school had one. It was from Express and mine was purple. Cue music... "memories..."
I hope you're having a GREAT Friday! I will announce the winner of Fall into Fall tonight. 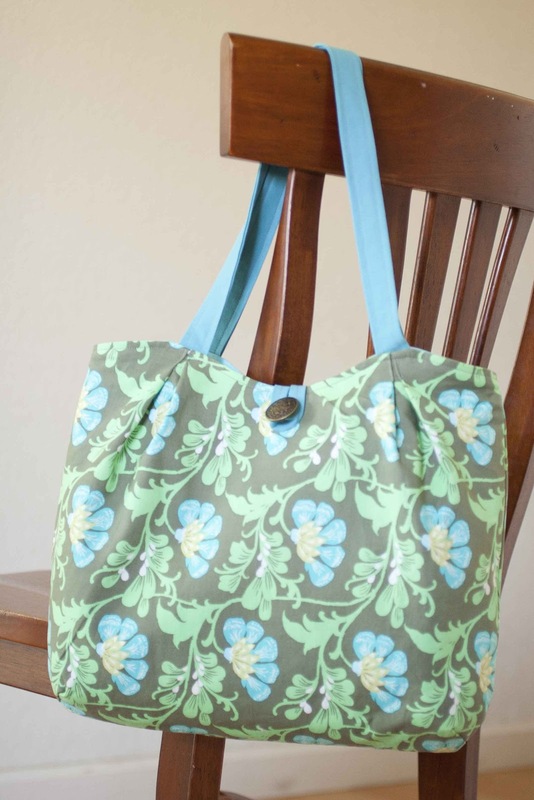 Awesome bag Adrianne--it came out very nice! 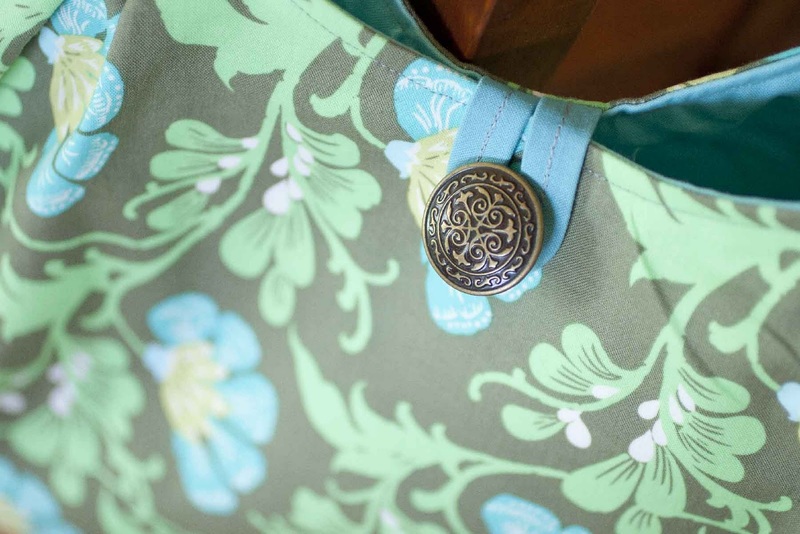 Beautiful bag and I love that button ! OMG! I swear I had that sweater too! That is hilarious. I can't believe you still had it. Love the bag. I'm a little afraid of all but the simplest bags (I'm afraid of anything that doesn't lie flat). But this looks doable! Thanks for the tips! VERY nice work! The colors are really pretty too!!! Thanks for the tutorial tip - one can never have too many bags or too much chocolate! Have fun at Quilt Market! Wow, it looks great! Love your fabric choice. this bag is gorgeous and i really love the colors you picked out! I love them all! I'd probably end up making al of them! yours is gorgeous. Love it! I think I've finally decided making bags is my favorite, with quilting as a very close 2nd! Great job and thanks for the links! What a great bag! It is so you and that you still had that button just cracks me up ;-) You know my colors honey, anytime. Where on earth do you get your energy? what a beautiful bag! i don't like the process of making bags, but i love having them. :) i'm going to make a note of that interfacing...i never know which one to use. Thanks for the tips about the interfacing and I LOVE that you still had a button from your sweater in the 7th grade. Genius! I just love your anecdote about the button. 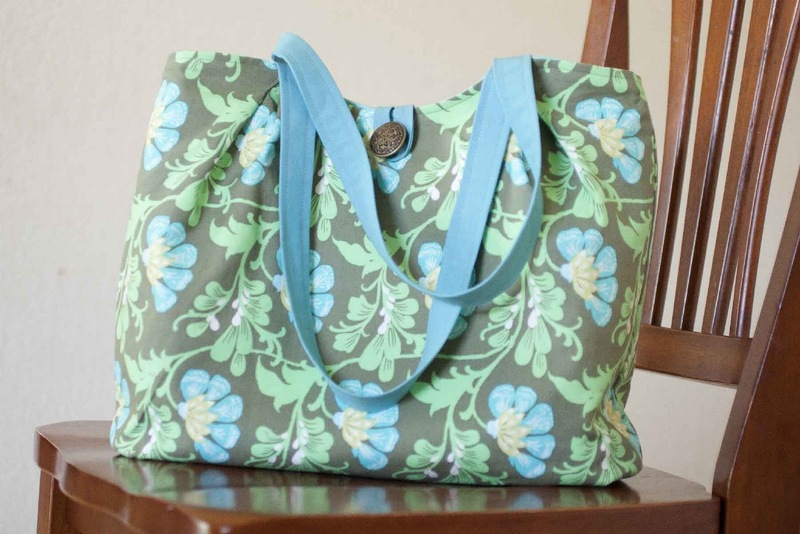 Your "beginner" bag is quite lovely.